NEW SINGLE CYBERLOVE OUT NOW!!! mini bear is nostalgic synth pop for those who like to dance and cry. Thank you! mini bear will be in touch! :D <3 ! A creator of nostalgic dance-pop, mini bear is the alias of L.A. native songwriter and producer Lauren Kop. She uses analog synth textures to write confessional songs that blend elements of 80s freestyle and modern dance-pop. Having grown up with AIM, Livejournal, and Myspace, mini bear is inspired by internet pop culture. Her lyrics touch on technology’s influence on the duality of human connection and emotional detachment in our evolving cyber world. Influenced by the music of early Madonna and Janet Jackson, her music is soaked in grooving bass, sparkling synth melodies and tasty drum samples. After majoring in music and studying classical voice at college in San Diego, she returned to Los Angeles and became interested in 80s analog synths and drum machines. Teaching herself the art of synthesis and drum programming, she began producing and composing with her computer in her bedroom. She has created a detailed and vibrant aesthetic, and in the process has become passionate about building communities of female-identified producers who have the resources to grow their music production knowledge. Over the span of five years, mini bear has evolved her live show into a dynamic performance that evokes emotive and carefree fantasy. She has been featured at events such as KCRW Summer Nights and has performed at some of Los Angeles’ notable venues such as The Echo and Moroccan Lounge. mini bear released her EP Mind Control via New Professor Music in the fall of 2016. Her featured single “Clique” was described by Grimy Goods as “dark electronic flavor doused in analog synth and vibrant breakbeats. 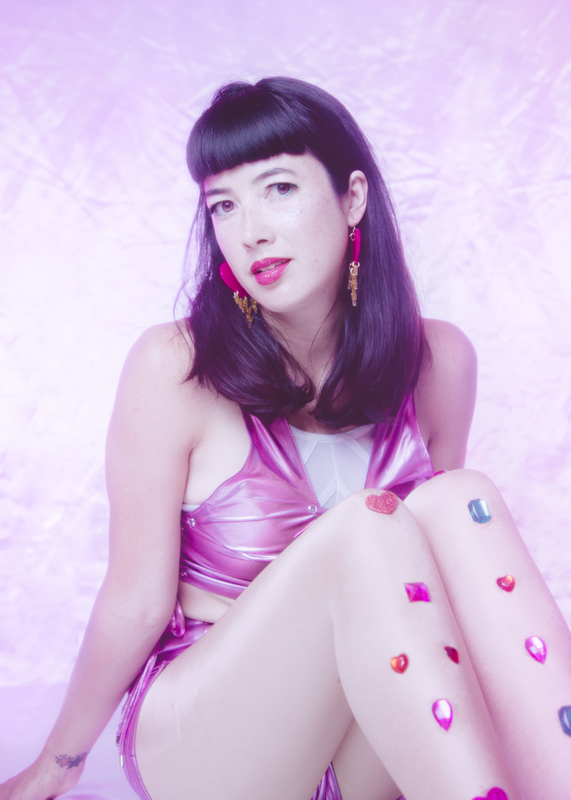 It has the ability to sound nostalgic, whilst effervescing with a sharp futuristic tone.” She followed this up in 2018 with her single “cyberlove”, and it is described by Kevin Bronson of Buzzbands as “a laser-guided bounce through the foibles of making real connections in a time where our gaze is fixed on screens more than human beings.” 2018 was a year of deep discovery and intense revelations regarding sexuality and sense of self, and she has a collection of songs that have emerged from her journey that she plans to release early next year.